Taming Insects requires completing the quest Collective Minds, which was added to EQ2 on December 13, 2012. Thanks to Ferrek who submitted all of the screenshots and details on this Insects page!!! NOTE: Turns into a white beetle! NOTE: Turns into a grey beetle! Nooo, you gave away the location of The Duck! Ah well, would have gotten out anyway, better here I suppose. So the Armadillo is an offensive rodent? I’m not sure that’s biologically accurate, but I suppose I’ll take it. Can you tame the camels in Sinking Sands? Oh sweet you can! Damn, I might have to get this expansion now. this should go on the side of your page along with dethdlr’s adors. this is really good thanks for the hard work on this Feldon. Feldon, I believe that all the fae drakes in the area of the invokers are tamable. I know the one I tamed was not an invoker but I can’t recall the exact one. Thanks Feldon!, I can’t wait to get my own flaming bat! ROFLMAO, just went through this again and this time noticed that under Canine “Hyena” is listed. that is they are cats not dogs. Those dumb turkeys at SOE have stuffed it up again! lots of other Taxonomic errors too. Hyenas are cats not dogs. Pigs are also ungulates so why are they separated out? Some sort of Jewish/Muslim thing? interesting, so ratongas get felines as their base warders instead of rats. I wonder how many would-be ratonga beastlords were initially eaten by their potential pets. Also, badgers are weasels. That is, on Earth they are, but Norrathian taxonomy could be different. In a world with ample arcane and divine power, anything is possible. For example, the Norrathian Hyena could have been the result of a crazed gnome’s experiment involving a broken tinkered mechanomagical teleport device, a sabretooth cat, and half a dozen wolf puppies. The one that stuck out for me was hyenas. I knew they were cats not dogs. The others are kinda taking liberties to fit into 12 categories. I have gotten 5 more submissions including cockatrice and another drake! I just want to say as a long time Beta and Test forum lurker that you guys are awesome! Thank you so much for putting this guide together. Anyway I want a displacer beast. I just verified this morning that The Meatbeast in Shimmering Citadel can be tamed. It is a bovid warder. Added Meatbeast, Cockatrice, gold monkeys, black monkeys, skyfire drakes, skyshadow drakes, ashfire drakes, grey crocodiles, and green crocodiles (MoY). Un, no….A Hyena is neither cat nor dog…they have their own family, the Hyaenidae. Their closest relatives are the mongoose, meerkats and the like. Between the cat and dog families, Hyena’s are closer to the cat. Added Lizard (flame) from Lavastorm, Blue Bat from Crystalline Breaks, Frostfang Lion and Frostfang Lioness, Lion (Ghost Red) from Shard of Love, Deer (ghostly) from Shard of Love, Monarch Drake (Shard of Love). All of these were found by Kragwitch. Cool. Turtles are reptiles btw, not amphibians. Not sure if that is your classification or theirs, but I think it should be fixed in the guide. Too bad no spiders or elephants. There are a lot of neat spiders we could get, and I have fond (if distant) memories of leveling up in CL with bull elephants chasing me around. Where is this other beastlord guide you mentioned? From Wilhelmina? made a beast on beta I love the class even more now. It is the SoE categories. There are not a lot of amphibians and turtles are livig in an “amphibian” ecosystem so it makes kind of sense. Hyenas in Norrath are NOT called hyeanas but “carrion hounds” so they’re technically dogs too. One info is missing at first glance: are exotic defensives or offensives? Cannot tame red spirit lion from shard of love. Not true – I’ve tamed them with several of my beastlords. The trick is that it’s only tamable at certain levels. I tried taming with my 95 Heroic, and I couldn’t tame one. Then someone suggested mentoring to 70. I did that, and was able to tame one. Just checked. Dire, Enchanted, Drake, and Mystical all have Attacks for their combat arts/spells, so that suggests Offensive to me. You have draconine guardian listed as tamable and I did see someone with one but I’m trying to tame (yes I do have the ability to tame exotics) and I’m getting “certain enemies cannot be tamed.” and can’t tame it. I tamed one about two hours ago just above the Pit of the Awakened. I know you said you have the ability to tame exotics, but are you actually using the Tame Exotic Warder ability? Stare Down doesn’t work on Exotics either. When taming exotics be aware that you have to get them to 25% instead fo the regular 50%. I just tamed a draconine guardian about 5 min ago. Also….. Shard of Love lion was not able to be tamed. I’ve been using the deer in Beta and I really enjoy some of the things the Bovid can bring to your group. It may not be the best DPS warder but it’s great defensively and has a little group heal as well. Who can turn up the chance of a the MeatBeast around level 50? Seems that you can also tame the Shimmering Guardians walking around outside the Poet’s Palace (cheetah, panther) as a dire pet. The glass deers from Shard of Love can also be made a dire pet. There are also flaming bats in Nektulos, I forgot the name though, but they are on some small mountain-sides/hills, not far from the owlbears. Actually the crocs in Darklight Wood should be tameable. I guess that comes from my miss interpreted post from the beta forms. I meant that you can tame them, so there is a low level option to gain a croc warder. From Ieksar: Regular camel without packs. Get from a camel herder running around Sinking Sands. I find the term “warder” peculiar, making me think of someone with a bunch of keys and a truncheon, not a pet. How many pets can the beastlord have at once? Re: Cats and Dogs on Hyaena/Hyena. Real world taxonomy is barely scientific it relies on imperfect categorization of premodern scientists. It is also difficult to even classify species as they are constantly changing and so many different factors are present. Living in Kenya I know that people refer to hyenas as being in packs not prides (this cackle business is just someones sense of humor). It doesn’t matter what SOE chooses so long as the flavor is good. Hyenas ‘feel’ alot more like canines than felines whatever their evolutionary background. The Were-Bunnies (Bristlebane Day quest – Rescuing the Princess) can be tamed by Exotic Tame as Enchanted, but have to be at 25%. Not sure of the Were-Bears yet. ah… but this is still a great list! Thanks all! Indeed – I still have more questions than I’ve found answers but good work by Feldon, Mina & Co.
Bovid: Add Antonican Stag (Antonica @ Archer Woods). Feline: Add Shimmering Guardian (leopard) in Shimmering Citadel. Feline: Notate Shimmering Guardian (panther) in Shimmering Citadel. Crocs in Darklight Wood can be tamed. Confirmed that the young Kodiaks in DLW can be tamed. The wolves in DLW can too. I don’t see them listed. You can definitely tame the bears in Frostfang Sea, did it just after level 10. Will test the felines in that area tonight, as well as the aquatics. Anyone have a LOC for the tigers listed to be in commonlands? I scoured that place last night and couldn’t find one. I checked zam and wikia for LOCs to no avail. I have been looking as well and no dice. If anybody knows a loc, that would be awesome. Exact location of the Duck is -588, 174, 1072 between the building and the rock located there. I helped a guy get the duck at around 10:50am est The duck was back up around 12:52pm est. So I will have to check back in two hours to see if it is a two hour spawn timer. Also the duck’s name is Mallard Phimore. He is a lvl 90 double up. Doesn’t hit to hard. Nox, and Chunk I’ll hit CL up and take a look. I only remember lions in CL, but I’ll take a quick fly by. If I find a loc I’ll drop it back here. Ok looks like no tigers in Commonlands. Fixed. Lowest level I am finding now is level 54. Thats what I was finding as well Feldon. Confirmed about the spawn time. 2hrs on the nose for the Duck. I did a fly by on CL.. I unless it is something rare I didn’t find a tiger in CL. Note: the EQ2 ZAM Bestiary was invaluable for me filling out some of the details on here. If I start listing every possible mob name for each pet, I may have to go the floating window approach. Note in the other thread that there might be a few tigers in Sinking Sands at the Oasis so what would be low 40’s. “a cursed shriller” level 19 in fallen Gate is tameable. It looks the same as the black “Bat” above. Icy Snapper from frostfell quest “Raiding the Gifty Storehouse” are tameable as an amphibian. Look like regular turtles but clear and icy with blue glowing eyes. Forgot to add there is an Icy boar that’s like the turtle in looks/color but body resembles the mutated pig from temple street. Most likely another exotic tameable but not able to verify at this time. Update to simian: the tatterback gorillas in KJ work. The spectral ghost bats in Wailing Caves do not. I just did a Gnome BL and i got a croc as a starting pet. Also cats outside Mock Rent in TD are not tameable. Gorillas across from them are. Add: An Aloof Cat in Estate of Unrest. – a domesticated cat. Make sure it has a link somewhere in it to the guide on how to play them, too! TO DO: Add Easy Link to Beastlord Guide on EQ2 Wire Site. The Warboar is functionally identical to boars/pigs. You think it should have a separate category all to itself? What if SOE adds other unique appearances later on? Every time I add a category, it changes the page numbering of the article. I can verify that “an aloof cat” (which becomes “an enraged hellcat” when triggered) from Unrest is tamable as a feline warder that resembles a grey domesticated cat. Very cute! Emerald caves bats (in Faceless Oracle’s Demesne, only accessible during the new Erollisi quest) are tameable. They look like green version of the bats in Crystalline Breaks. ADD: Emerald caves bats (Faceless Oracle’s Demesne on new Erollisi quest). Also, according to recent Update Notes, panthers are now regular Felines instead of Dire. I’d certainly like to test the Leopards and Panthers in Shimmering Citadel again. They have the same mob name but one is a leopard/cheetah appearance and one is a black panther. I hope they add a way to allow us to store Beastlord appearances. I’d hate to lose the housecat appearance if I get an inclination to have a leopard and then have to run Unrest again to get it back. Confirmed – warslik prowlers (black panthers) in Fens can be tamed as Felines now. =) Haven’t tried the ocelot, cheetah, or leopards yet. I cant seem to find the Flame Hellhound nor any info on it in the cave of fear. There are 2 a horror hound but they are not attackable therefore not tameable. Any other places to find those or better info? There’s at least one pet missing from the rodent category. But I’m not going to spoil it yet…just a small hint: “mole rat”. Oh wow… please post the mole rat when you find it. The only mole rat I can think of is the zone in the Hole zone where the mole rat boss is chewing through the wall while you run away. But he is only visible for a few seconds before he dies afterwards, so probably not enough time to tame it (though I did possess it once, if I started casting right when he came through the wall). Hmm! Staintooth burrowers in Dire Hollow: Infernal Echoes (~level 35) are tameable. You need Investigating Dire Hollow (Teamwork) quest to enter and there are three versions of the instance, chosen randomly. The quest is repeatable once every two hours. If the first monster you see in there is a rumbleroot, you’re in the correct one. Ok, I’ve made all the requested changes to this point. Now I need images of the molerat, emerald bat, an aloof cat, and the rustbeast. Is ‘Slaverjaw’ in ‘The Caves’ a mole rat? There are icy looking crabs in Frostfang Sea near New Halas docks as well! Swine in nek castle can be tamed. They are under the boars. They are dark and ugly but tamable. You don’t list the ice turtles and ice crabs from the gigglegibber gifty storehouse (only available when on a Frostfell quest) or the snow wolves (only available when on another frostfell quest). These have unique skins. I’m surprised the icy crab and icy turtles from the one Frostfell instence isn’t listed in here as being tameable. My two beastlords have them both tamed right now. Both keeps their icy appearence. Exotic (Mystical), darker version of the regular manticore. Same as a sattar abomination in Feerrot, haven’t tested if the latter are tameable. Also…a marrowjaw cackler in The Clefts of Rujark. Canine, slightly darker version of the normal hyena. Thanks all for the suggested warders. I will update after the new year. I tamed the piggy in Nek Castle a couple of nights ago. You can also get “the Lion” from an captured lion (12) in the lower pirate cave on Timerous Deep. Add: Exotic (Drake): a burning familiar ~ Jarsath Wastes. Found by Zaltys (Freeport). In regards to the lions in SoL, maybe there is a bug that makes them untamable after a certain lvl. I was mentored to 50 and it worked just fine, so maybe try that. Note the name. Other bats in the zone are untameable and there’s only a couple of those pesky ones in there. …and a dreadsnout glutton @ Sundered Splitpaw: Trial of Harclave. Exotic (Dire), looks like the mutated pig in Temple Street. So there’s an alternate location for those of you who want it, but can’t get in there. The leopards in Cazels mesa can be tamed. The sabertooth cats in pillars of flame can also be tamed as a normal feline warder. Dont need exotic to tame them. A guildie of mine tamed one of the wolf pups in great divide a few days ago. Very small chubby version of the adults, and extreemy cute(Canine Family as well). Even smaller when shrunk! Anyone else having problems with the sea turtles appearing as frogs? Grimjerk: Must be a change from Beta. Ok major update today! I believe I’m caught up on everything I’ve received by e-mail and comments. That makes 110 warders so far. Anyone tried the hungering hellhogs from Estate of Unrest? Missing Icy Crab from the frostfell instence under Aquadic. Feldon, the hungering hellhogs from Estate of Unrest are dire. Drakonine guardian is no longer tameable. Well, not after the next patch anyway. I’ve heard many complaints from guildmates/friends on my server about how obnoxiously large the drakonine guardian is even shrunk, which is why I never tamed it..not surprised its been taken out as tamable. The drakonine guardian has now been removed as a tamable. I noticed my drake changed in to one that looks like it’s from Butcher Block, they might still be tameable over there, where doing to need someone for confirmation though. The mobs: A mangy cat (4 of them linked with a troll NPC) are tamable and are located in Pillars of Flame at 4.19, -93.08, -783.39. They are the same size/classification as the “An Aloof Cat” from Unrest. They do have different skins, however; patchy colored fur in three colors. Black and grey, white and cream, and red (reddish) and brown. Where is the wild chokidai at in tem deep? Can’t find it. I tried taming those ice covered crabs in halas, they lose the ice look upon taming sadly. Brigh.Guk – I’m pretty sure if you’re 90 it won’t work. I’ve heard lots of people saying you have to mentor to like.. 60? Or 80? To be able to tame it for some reason. Also here’s a link to the picture of the cat skin for the ones in POF (just one color, there are two others not pictured here) so you don’t have to go trying to take an SS of them. Another regular kitty cat model – Hergla the Wretch in Pillars of Flame, heroic troll in the Ortallian Camp near the main quest hub, has 3 or 4 different color cats linked with her that can be tamed. Let’s hope SOE plans to add some more choices in the future as well as make warders out of existing models. Add: A mangy cat (4 variations — Black and grey, white and cream, and red (reddish) and brown) linked to Hergla the Wretch @ Pillars of Flame (Ortallian Camp). I did see someone with a drakota warder a few days ago, one of the normal gray ones we’re used to seeing. Its about the size of the small drakota adds that are with the named drakota that spawn in Antonica and Commonlands. I have no idea where it was tamed at sadly. Flying snakes inside Fallen Gate are also tameable. Cockatrice, darker coloring than the ones already in the gallery. Pale green and dark green versions of the same. Good luck taming these…they’re level one and have seven hp. I had to try quite a few times before I managed to tame one. Default size after taming, but at least the color seems unique. Golden flying snake, part of the ring event at the end. Could someone check “A Relic Guardian” in Forgotten Pools? Based on the ZAM tags, it seems tameable. But I’m too wimpy to try that one myself. Not quite to the point I can tame the exotics myself yet, but I did come across a post on Zam stating that ‘a tundra beast’ @ Kylong Plains is no longer tamable as of 26 Jan 12. Not liking the trend of seeing the varity of tames decrease. Would be nice if they add some new ones when they take others away. As of last week: ‘a timorous octopus’ @ Timorous Deep is not tamable. Pity, I think an octopus might make an entertaining warder. I think some of these were already said but… Enjoy. Nice list, thanks. Just restarted EQ2 after a year out with a Beastlord. Hyenas are neither cats nor dogs. They belong to their own family, the Hyaenidae, which also includes the aardwolf. This family is more closely related to cats than to dogs. The resemblance of hyenas to dogs is due to convergent evolution. The lashers in Enchanted land are counted as “enchanted” warders. The lashers in Oakmyst Forest are Rodents. Now I have to get my flaming hell hound again/sigh. Ok, forgive me, but all the drakes posted by Kukiko and Zakiara are NOT tameable, right? So the only tameable ones are the two in Najena’s Hollow Tower? You could not charm it with Tame Exotic Warder? If so, they nerfed it. I stand corrected. After zoning in and out 4 times i finally found one that was. Lot of dead pigs between then and now. I tested the “hellhog” in Temple street. NO issues i was able to tame it when i didn’t smack it dead in one shot. The stags in the _current_ Shard of Love instance are tameable, but I don’t suppose this counts as new so much as confirmed. The vday instence of SoL’s tameable stag just turns into the same as the normal SoL’s tameable stag. Just one can be any level to tame the vday version compaired to 50+ for normal instence. A few new warders up on test in the new waking lands zone. Been checking but seems nothing has been updated yet. Will the Beastlord warders get updated to show Insects on what can be tamed. Also will the new warder for the old get pics as well? Sorry for the lack of updates here. I have received several submissions by e-mail which I will be adding soon. As for Insects, looks like that will be a QUEST that is being added over the next few weeks. find me on Oasis and ill show you the red one. Just tried twice. He doesn’t glow when you cast Sight, but I tried Tame anyway, and no dice. My BL has a hellhog from unrest. the sea turtle you have marked out above can be attained in SS way over underwater near the white spectres groups of 3 if i remember right.. will try an get a /loc later. Just wondering if any updates might be coming soon? 🙂 I know there is a lot of new stuff out there would just be nice if site could be updated when able. Thanks! i have confimed that magma hatchlings from najais tower and gilded gardians from nest of the great egg are tameable. Anybody tried to tame the red gator in WL yet? I think his name is Swampmaw the Gorged. Ok folks. FINALLY I have updated this page as best I can with the info provided above. If your comment was slashed out then that means the info has been added to the Guide. I also changed the order of the pages to be Alphabetical by Offensive, Defensive, and then Exotic. Hope this doesn’t throw anyone off. As you can see I am MISSING some photos of these Warders especially insects! If I can, I will track down photos but it’s really best if people can take photos and e-mail them to me warderphotos (at) eq2wire.com please!! I feel like it miss the AA part of warders. the most used AA profil (perhaps using the most used on eq2u) could be nice… or at last list them. What’s the deal with Insect warders? I was under the impression they weren’t in game yet. Ah ok, forgot my last Post, it is fixed only on US-Server, EU maybe is working tomorrow. Meatbeast (Bovoch) has been moved to the correct page: Enchanted (exotic). 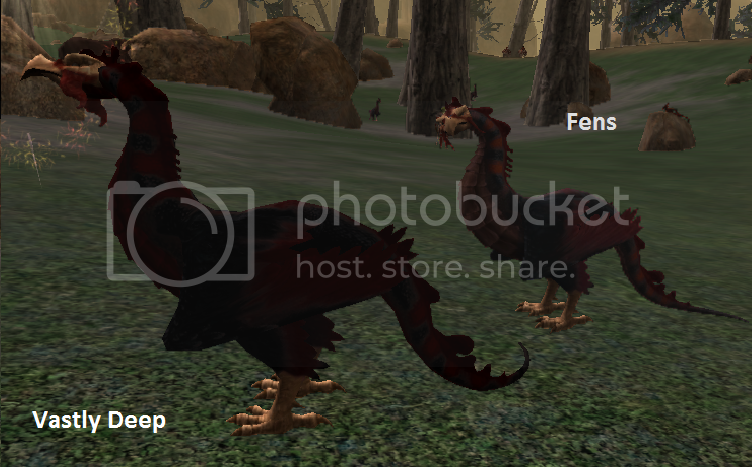 If you guys can take screenshots of these warders (it can be just a full screenshot, you don’t have to crop) and mail it to warderphotos(at)eq2wire.com that would be much appreciated. I am not sure that insect warders are actually available on live. If you had a beta buffed BL on beta you were given the spell Tame Insect. As far as I know the quest line to obtain the spell has NOT been added. It would be good to know how the OP got the spell. Just an FYI, there is a black colored drake in Najena’s Tower as well. Same skin as the red one, but a black color to it, you have to clear a few packs of red ones to get to the one with the bigger black one in it. All of these drakes also repop if you accidently kill the one you wanted to tame (stupid effin merc). Those red demon gorillas in the Temple of the Faceless are tameable btw. Thanks to Ferrek who has submitted 8 screenshots of wardable creatures in Withered Lands, and the Chains of Eternity zones!! I will get them into the article soon! Hi yes I tried to Tame an Insect Warder in Enchanted Lands( an impaler wasp ) and some others(Burn Spear named)( Unruly Impaler non agro ones), I wasn’t able to tame them as of Monday, November 19th 2012.., you may want to change that picture. I can send a screen shot if you want one. Taming insects seems to not be working, or it just never made it to live. It has been in the SS beta and the CoE beta now…. Wish they would make up our damn minds all ready! Thanks for the update. I’ll fix it. Wait, so you can’t tame any insect. So what would you change the picture to? Picard Facepalm perhaps. Yes. If you could add SOE logo sign as the face. Would be great. Insect pets have never been on live. Only on beta and test for over a year now IIRC. Sequestered away in my Fortress of Slackitude! Muwhahahaha! Yup, I can’t tame any insects yet either. Ok I’ve replaced the Insects page with a message, so folks aren’t wasting time trying to find them. I’ve also sent an e-mail. Ok! Just added all the screenshots that Ferrek sent in! Still looking for that elusive Housecat (red) in Pillars of Flame, the gold flying snake which is part of an encounter in Nest of the Great Egg, and the Kunzar and Vasty Deep cockatrices. Added Kunzar Cockatrice and Gold Flying Snake. Thanks Ferrek! Checked the rest of the Teralids in Withering Lands shows the Patroller, Mulcher, Cultivator and Hive-guardians are tamable. None of the other fliers are tamable. Taming Insects has finally gone live, the quest starts in Ferrott, NPC is near the Wizard Spire. Submitting screenshots of new warders as I find them! Oh, and a lovely “bug” Beastmaster Sight dosent seem to show any of these as tameable, you will have to beat them to 25% and then try. As far as untameable goes, the vespids and leeches (which were ‘tameable’ to advance the quest) in Kunzar Jungle cannot be tamed. The dragon flies can be, but they lose the purple sparklie. 23 new Insect Warder appearances added all courtesy of screenshots and notes provided by Ferrek!! And I can think of a number of other spider, dragonfly, and scorpions throughout Norrath that, if tameable, may even double this number. Note that four of the appearances are bugged (specifically the 3 ‘bone’ spiders in the Field of Bone which all turn into grey beetles when adopted). Hopefully these are fixed soon! Just remember Beastmaster Sight doesn’t seem to work on insects, so it is all trail and error taming to see what works, and what does not! Here is something I discovered. If you are on silver account you will not get spell. I’ve sent in petition and response was since spell is labeled fable those that are silver will not get. It is being escalated to see if this was intended or a bug. I got the credit but where I using station cards when my budget allows me I hop back and forth from gold to silver. Dragonflies, such as the Wetland Damselfly in Feerrott are indeed ramable. I’ve got a mailbox full of more screenshots from Ferrek. This list will nearly double! But I *just* updated it! Up to 39 including 6 bugged appearances and 1 we haven’t found yet (the black scorpion). Feldon, the honeybrood worker and the wetlands dragonfly aren’t Greater Faydark, they’re both Lesser Fay. At least, I’m rather sure they are…if not, my apologies. A molting scorpion (black scorpion) in commonlands is tameable as a insect warder. Can the Warboar’s Drunder become warders? I successfully tamed a black scorpion. It was the one halfway up the tower in Zek. Info on rodents is wrong – as of 2013, Fiends in Feerott are not tameable. I tamed a bear in G. Faedark, near the small quest hub by the portal. You can add the flame wasp appearance to the insect category – I have tamed one on my BL. The Ember drones, workers, and soldiers @Kylong Plains. I tried the spell on two of them (the drone and worker, I think) so I’m pretty certain all three work. Oh, also, for the Reptiles; I can confirm that the light green plated chokidai in Chardok are tameable (the ones near the entrance) and look like the image you show. I can also confirm that the chokidai pup in Sebilis is tameable and gives a dark green appearance (plated) – darker than the one in the listing. It is the appearance I am currently using on my reptile warder. The flesh feeders and flesh fiends in Kylong PLains in the Gash of T’Thelin are tameable as mystical warders. They are green version of the frightling. They look like they are the same color green to me, just different names. not sure if something has changed recently but i have tried to tame at least 3 different scorpions on the list and several spiders and have had no luck taming them,any of the scorpions in commonlands and several of the blue spiders in 2 different zones. I just came back to the game, and hated the fact that Ratonga got Tigers for their pets. The moment I hit 10 I went to tame a spider, but both the corrupted Spiders and the Diseased Spiders in G Faydark are untamable. Any news on this weekends tameables for bristlebane day? Just wanted to update for those who may not know. On Antonia Bayle, we’ve confirmed a spawn point for the new bovid critter, “A Berry-fed Bovid” in Windstalker Village in Antonica near the cows. This bovid appears to spawn at the beastlord’s level (the one who is catching him) and dies quite easily so be careful. It doesn’t appear that there is a level requirement as I caught him on my level 13 Beastlord and he was my level. I update the guide periodically. Also I wasn’t trying to document every mob in every zone, but just a few representatives so people can easily get any appearance they want. That’s good to know about kerra isle pouncers. I think they’re dire because they’re displacer beasts, right? I’ve got a bunch of photo submissions for GU66 and so that will probably be a good time to update this guide. Someone a bit higher level then me might want to recheck the bone spiders. As of earlier today a dust crawler @ Butcherblock Mountains did not turn into a beetle unless I somehow don’t know what the conditions are for it to happen. I tamed it, zoned, resummoned it, it stayed a grey bone spider. The info on the guide may be out dated, at the time I tamed those spiders they were bugged. I neither work for Sony or know of their mystical bug fixing ways, so I would not know if or when they might of fixed them. Haven’t been playng my beastlord in a long time as well. Good to know they have fixed those spiders now though, usualy when one gets fixed they all do (I had posted bug reports on them several times, one might of finally been read). I already submited screenshots on the Cobalt Scar finds (hint hint Feldon). @Skycat no, owlbears are still mystical…my guild leader uses hers daily. Been trying to get a spider for like 3 hours…none of these work anymore…I have gotten every other class of warder…so I know I am not an idiot…something must be wrong. Did you do insect quest? I’ve added a more detailed note explaining that insects cannot be tamed until you complete the quest, and linked to the quest details. I just tamed a spider in ferrot right where you did the insect quest, it worked fine. They are right near the druid ring. Virelant Swarm (spelling?) is tamable in Cobalt Scar. (6/2). Assume it’s an insect. Yes Virulent Swarm is tameable insect. The Yeti in Kylong Plains can be tamed, it says need more info in the list above. I have one for my Dire pet. It was the tundra beast, I still have him. But, I went back to try and tame one and it didn’t work. I guess I can keep it since it was previously tamed, but you can’t get a new one. Just a suggestion. Make it so that the first comments show last and last comments show first. Ima bit tired of scrolling al the way down here to see the new comments when there are some. Got a question a friend has a owlbear as his bear warder. Anyone know were to go to get it. I asked him an he can not recall were he got it at. Someone mentioned it back in June, but it hasn’t been added to the page: Devourers, at least those in Jarsath Wastes, *can* be tamed as Dire. Shadowy creatures (like the shadowy chokidai on Green Overlook in TD) are tameable. However, it appears that when tamed they lose their shadow appearance – at least, the shadowy chokidai I tamed turned into wild chokidai once I had it. I know this is a little dated, but I can confirm what Lodrelhai Says.. just tamed a Shadowy Stag in Commonlands (was lvl 84 heroic to me, though they died easy) and it turned into a regular stag as well. they should add the chimeras in the enchanted beasts family and the griffin in the mistycal,they would be great wardens. There’s a meatbeast hiding in Nektropos Castle in Nektulos. You have to hop/fly over the walls from Nektulos, don’t zone in. It’s a nasty thing and high level as well. All the patchwork beasts are tamable as well. I don’t know if this is still being updated at all, but people looking for flying snakes can find the blue and green ones at MUCH lower levels than listed. They can be pulled up out of the canyon in Darklight, at the entrance to Neriak. Have confirmed both can be tamed; kept the green one. Missing from turtles are the beach turtles available in Greater Faydark near the nursery. There an updated list? I tried every kind of Drake on this list and wasn’t able to tame any of them..
You have to have the Tame Exotic Warder AA and use the Tame Exotic Warder ability. As well, the exotic creature being tamed needs to be at 25% health or lower. I really, REALLY want a moose; does anyone know if that’s possible (and where?)? Is this still being maintained? If so, thank you for making it. Its helpful. I’m rather new to Everquest 2 and have been playing a beastlord, which is lvl 42 now. Woohoo XD Anyway, I would love it if there was a Petopia (http://www.wow-petopia.com/) style website for beastlord warders and I was wondering if I was to do most of the dirty work I could use some of your resources to help flesh it out? I probably wouldn’t do it until I have a flying mount, tho, which is a ways off. So, if you see this, let me know? This article is essentially WoW Petopia but a bit simplified and the way it’s done, it’s hard to maintain and hard to add to. Have you got programming experience? No, nothing as useful as programming experience. Just a willingness to wander around testing things and documenting it. The fae drakes in Greater Faydark are tameable. The flying snakes in Antonica are tameable. The pygmy cockhen in Kunzar is red and green, not green. The tameable monkey in Maj’dul/Sinking Sands is brown and in the first plaza in Maj’dul. It’s not white. And Hergla the Wretch also has a red and white cat. I killed her about 20 times and never saw that. Must be super rare. Unlisted dire beast: Cobalt Blackpaw, a black bear with a unique model. Big ruff on the neck and red eyes. Found in the Cobalt Scar, about lvl 99. Unlisted beetle: purple/blue iridescent. Kithicor Forest, Phantom Sea, lvl 101. Name has been forgotten and I’m too little to go look. As for Hergla, I’m telling you the truth lol. I’ll see if I can get a screenshot. The green armored chokidai from Chardok are in fact tameable, as are the ones in Sebilis. The pups and mongrels from Sebilis are actually a different color than the gnawers in Chardok. The Chardok chokodai are a light green, while the Sebilis ones are a very dark, almost black green on their backs, shading to lighter green. So, there’s a “new” chokidai color for you 🙂 I have screenshots. 😀 Thank you for the time and effort it took to compile this list, I have a Crageye Raptor that I tamed in sundered frontier as my dire warder so they can be tamed; I know the hellhounds in the Everling Mansion are tameable, the tigers even the white one in sinking sands are tameable-I have tamed both as I have 2 bls one evil one good…Weasels are in the Rodent family so it isn’t exact- who the hell cares? It’s a GAME just enjoy it…57 yr old gramma geek that loves both Skyrim and EQ2…If you don’t believe me go look up my profile on Steam (Nola Crenshaw or nodijo) and look at how many hours I have played and it is not doctored. Hey this needs updated. I just tamed a gnashing devourer in jarsath wastes under the “dire” category. update your site plz! I know this is an older thread but I just started a Beastlord and I was able to tame a Sea Turtle in Butchblock, next to the docks in the water. I did not read all the comments so this may already be confirmed but the list has it as no longer available. They seem to have removed both Ashfire Drakes and a burning familiar as being tamable. I just got the message on both that some enemies cannot be tamed. The Beastmaster Sight also doesn’t trigger for those, although both are gray to me. The poisonous spiders in Darklight Wood and the blue widow spiders in Antonica (near Blackburrow) are NOT tameable. I tried with both regular and exotic tame to make sure.